Image you’re in the airport shuttle headed to your hotel. The shuttle is clean. The driver tells you how much he likes the city, some good restaurants and things to do. Then tells you how much he likes his job and the hotel, your home for the night. No, it’s not a dream. It really happened. The Portland Regency Hotel & Spa was the destination and the shuttle driver was chatty, but not too much, and helpful, so I was taking notes on the 15-minute drive from airport to hotel (he said DiMillos for seafood); and he smiled. Portland is a friendly place. So my first favorite thing about Portland was that I got to go. The second favorite thing about Maine was Michael. The next thing was the Portland cuteness. If you think small, local shops are good, you’re in heaven. 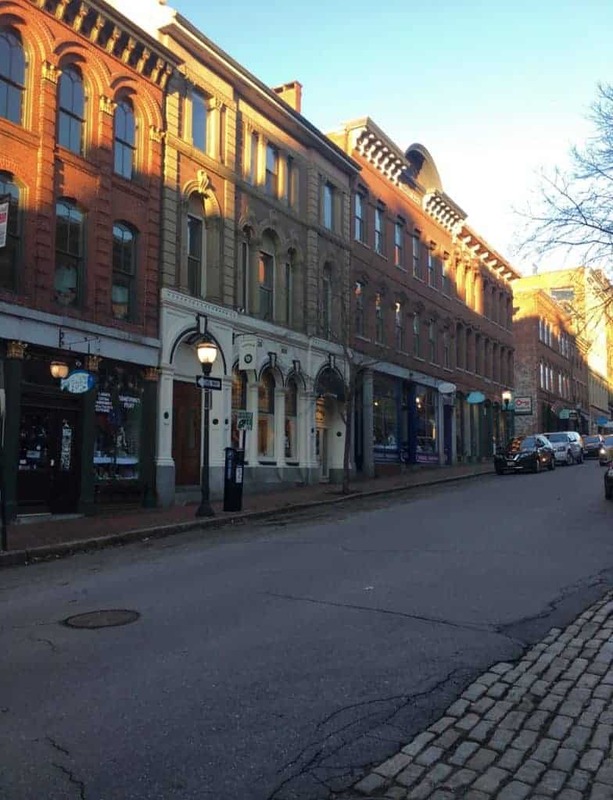 Cobblestone streets, cool architecture, inviting window displays, friendly people and the Maine coast are what I found in Portland. 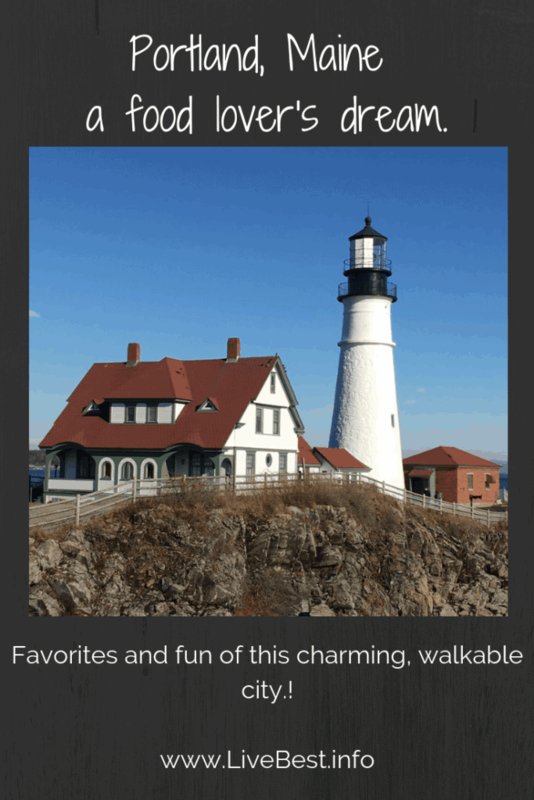 Here are some highlights from my first, but I hope not my last, visit to Portland, Maine. Note: When you’re headed to Portland, make sure you specify Maine, otherwise, you may end up with a hotel or dinner reservation in Oregon. Speaking of dinner, OMGosh! Portland has this covered! Portland chefs take advantage of local food and have literally turned this city upside down. Portland has been described as America’s Foodiest Small Town. 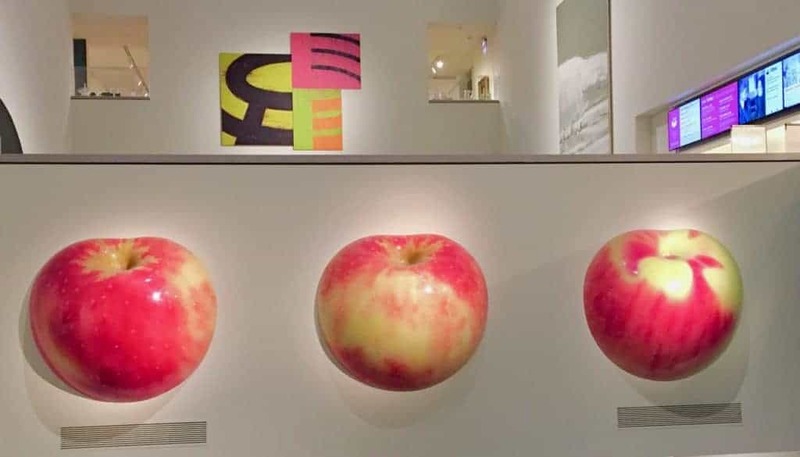 Accolades by James Bead Foundation and Bob Appetit (2018 City of the Year) make this a food lover’s destination. One person I talked to said there are so many good restaurants that a so-so won’t survive. Pack your fork, because you’ll have some things to taste. 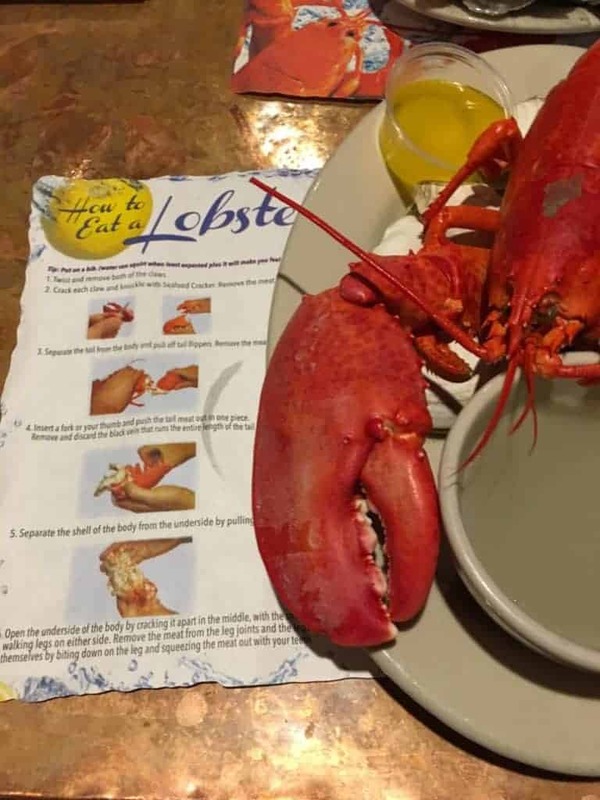 Like Maine’s famous crustacean. Lobster. The placemats at J’s Oysters help you DIY. Bard Coffee, coffee drinks from fresh coffee roaster. Central Provisions, friendly staff serves a creative menu from salads, mains, and more. Shared plates are encouraged and there are so many good options, it’s hard to choose! Duck Fat, panini, soup and fries fried in duck fat, yep duck fat, and dipped in truffle ketchup, Thai chili or horseradish mayo. Eventide, fresh fish, cocktails and more in this popular restaurant. Flatbread Company, wood-fired pizzas on the harbor. 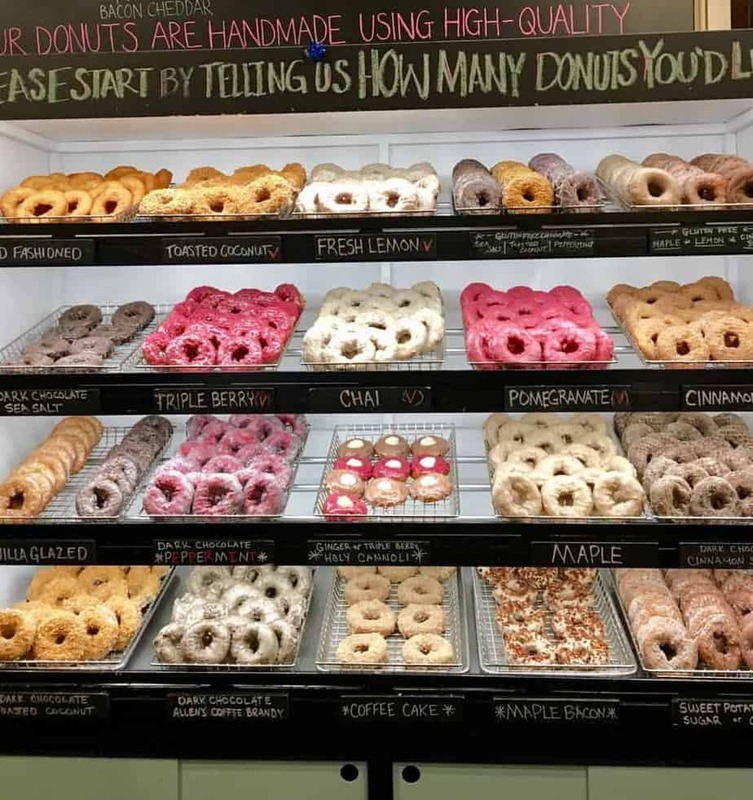 Holy Donut, doughnuts are made with Maine potatoes which keep them moist and tender. When the donuts are sold out, the shop closes for the day. The Honey Paw, an Asian-influenced menu with noodles, salads and lobster “toast” with seafood mousse you’ll want to try. 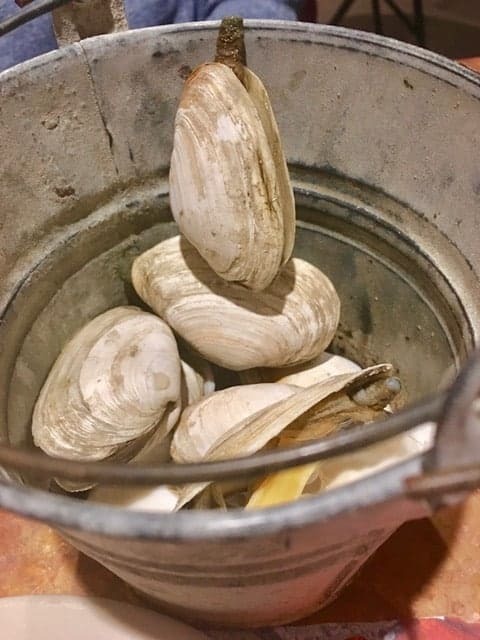 J’s Oyster, a low-key, local favorite for shellfish and pasta on the harbor. Scales, upscale seafood restaurant on the harbor. Vena’s Fizz House, stop for a drink, with or without alcohol, shop the vintage cocktail items, locally made bitters and more. Bitters are botanicals used to flavor cocktails but don’t stop there. Flavor whipped cream, vinaigrettes, sodas, drizzle over BBQ, curries or baked fish. In between meals, stop by other Portland favorites. Portland Art Museum, includes some of Winslow Homer’s pieces. His love of the Maine coast is a focus of many of his paintings. 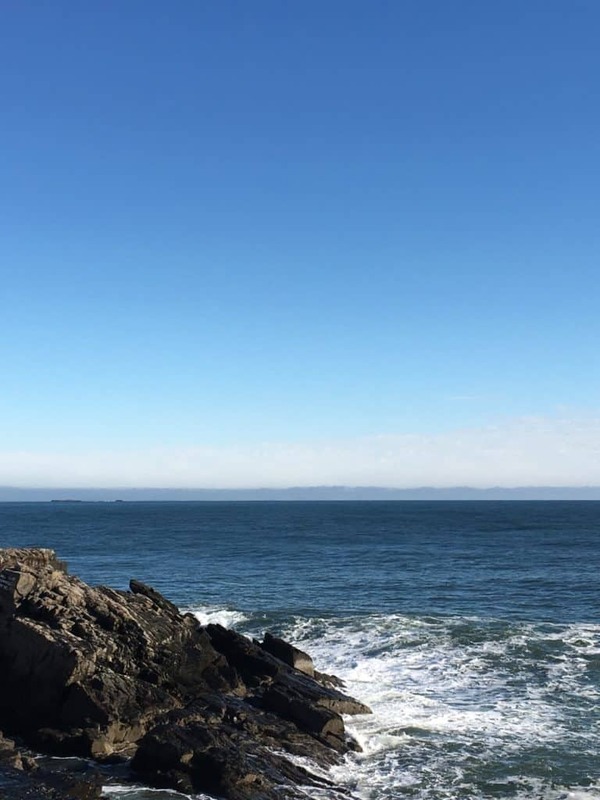 Portland Head Light, in Cape Elizabeth. It’s not walkable from downtown Portland, but worth the effort. 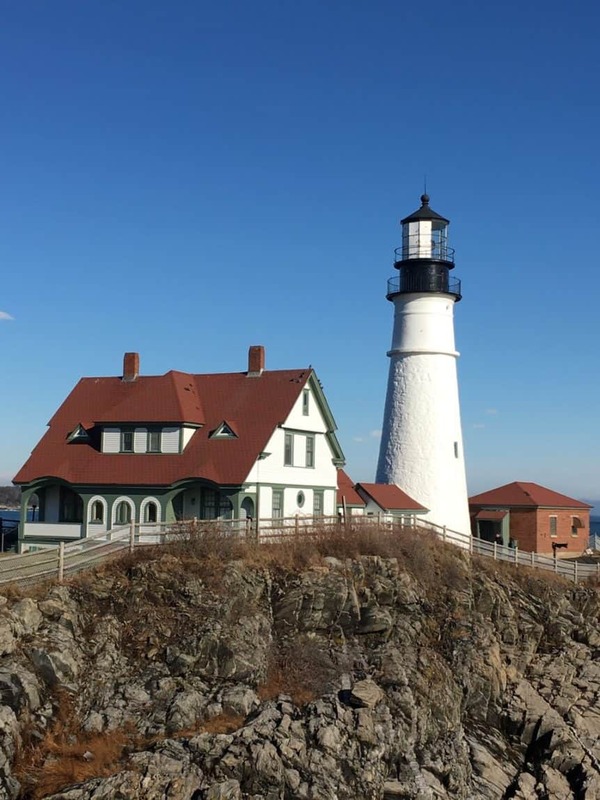 It’s Maine’s oldest lighthouse, first lit on January 10, 1791. Harbor Fish Market, will ship lobster and fish for you. Take a peek out back to see the lobster traps. 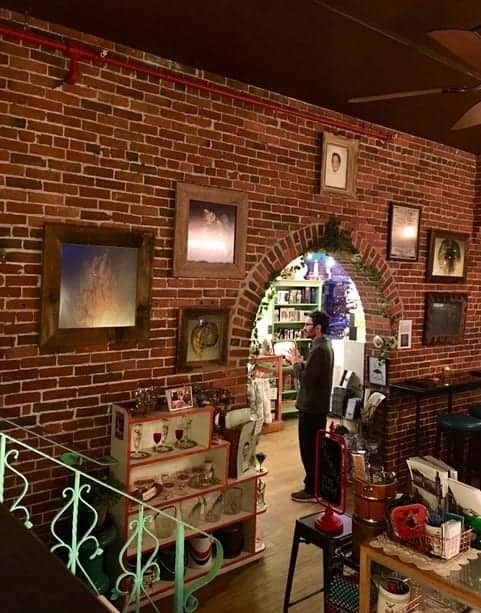 Maine Potters Market, is filled with local potters who also staff the shop. SeaBags, makes bags and totes form recycled sails. A former armory, this small boutique hotel is an Historic Hotels of America. 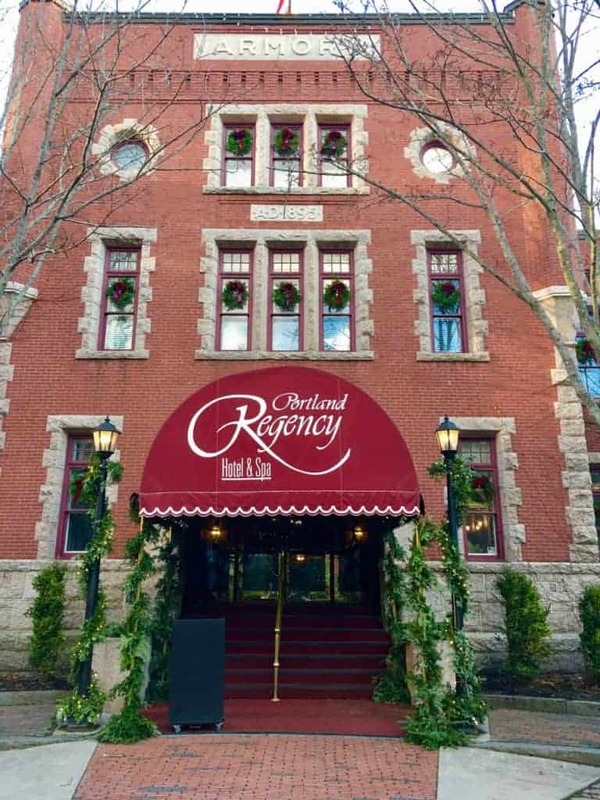 The Portland Regency Hotel & Spa was ideally located for touring downtown Portland with a full-service restaurant, friendly staff, quiet rooms, and comfortable beds. Plus, you can wake up to complimentary fresh coffee and pastries delivered to your door. Cocktails in The Armory, coffee in the Map Room, a spa treatment and a workout room, this was one hotel I was sorry to leave. P. S. Travel feeds my soul. It is a big component of my life and I love to share my travel highlights. Check out other travel favorites. including Jackson, Wyoming, Italy, Quebec City, Merida and more. Thanks to your input, my visit was even better. Great to meet up!